Repair is very often accompanied by various inconsistencies, problems, etc., for example, often the situation when you chose the Wallpaper, and they will not come. You want to return them or exchange them for others. But in practice, doing so is difficult. According to the Law on protection of consumer rights, you can return not coming up in your Wallpaper within 14 days including the date of purchase to the store without explanation. Even the absence of the check cannot be the cause of failure in this. The only thing I can require you is the safety of the original packing. Although experts recently say that this isn't a necessary condition. To return the Wallpaper to the store, you will need only a passport. As a rule, to return things, including Wallpaper, take during working hours - from 10.00 to 18.00. In the store you will have to apply for a refund. Even if you want to exchange them for others. First, complete your return and then choose new Wallpaper. To avoid problems with the return, try to find a witness who will help you to prove the fact of purchase in the store. As such a person can approach even the shop assistant of this shop. Check best also save. After all, it is easy to prove that the purchase was made exactly in this point. If the sellers or the managers of the construction of the store refuse to take it as a document, ask the cash register. 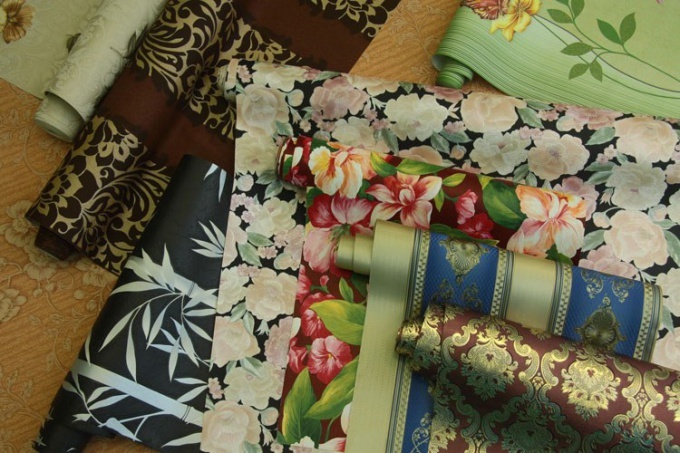 Especially important is the requirement if you made the purchase of Wallpaper in just a couple of days ago. The cash register creates a kind of twin of your check. It is easy to prove your case. By the way, if you check no, the principle is the same. Exactly taken the box office will determine what do you buy Wallpaper in the store. To prove that it is yours, you will help the information on the check-backup and on the information cards enclosed in the package Wallpaper. The check reflected the article, the party and a series of product and purchase quantity. You just need to call the time at which you made the purchase, and download your check by comparing the information with that which you have on hand. If you bought the Wallpaper, glued them, and then realized that they were of poor quality, you can also bring a finishing material to the store. According to paragraph 1, article 18 of STDs you can safely require the replacement of poor-quality Wallpapers on goods of the same brand, model or part number. If the price already purchased Wallpaper the new Wallpapers in the smaller side, you may require recalculation. Can also demand compensation for the damage. If the sellers refuse to accept your Wallpaper back, Recalling on one, then on another, ask them to make you a written waiver. Then call CPS and specify the address of the trading point where you're breaking the law.